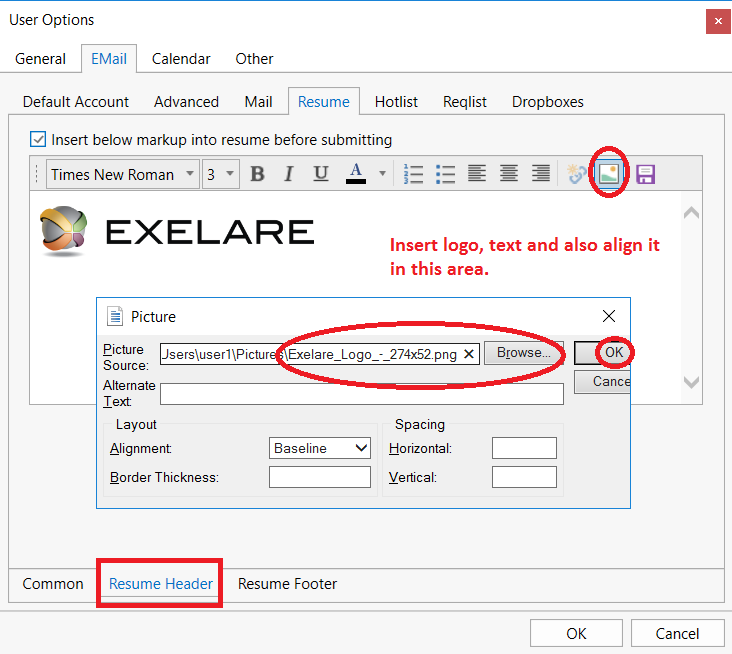 Please follow these steps to automatically insert Headers & Footers into outbound resume submissions to Jobs and/or Contacts. 1. In Exelare, in the top right hand corner, click on the “Settings” Icon and then select “User Options”. 2. Click on the “Email” Tab and then click on the “Resume” Sub-Tab. 3. Click on either the “Header” or “Footer” Tabs at the bottom of the window. 6. Click OK and then exit the user settings window. 7. 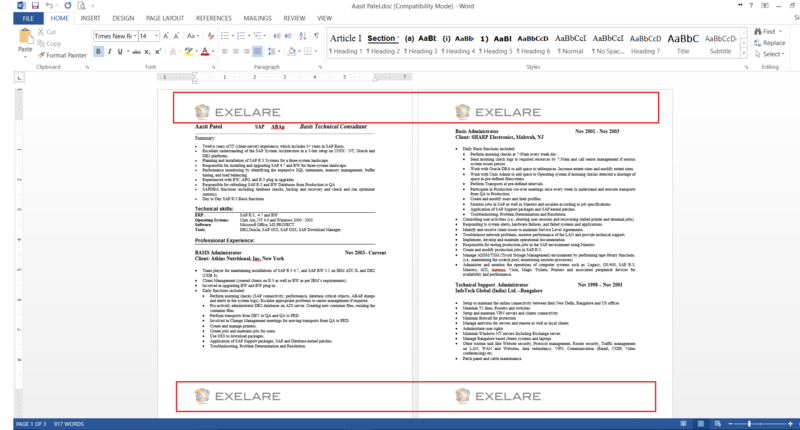 Moving forward, whenever you submit resumes (Must be word doc formatted resumes only, no PDF or HTML), the markup will be inserted as you specified. 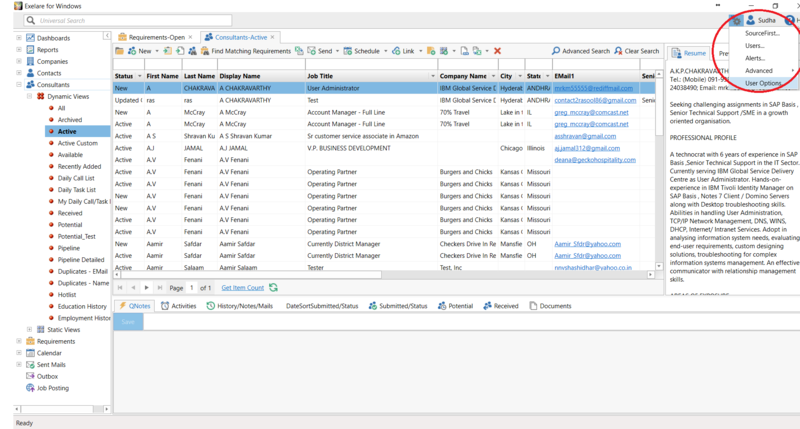 In the window below, under “Resume Header” User can add a logo or some text and align it either to Left or Right hand side. User can also change font style, size, color, add a hyper link etc. Moving forward, when a Candidate/Resume is submitted to a Job (Requirement) or Contact. 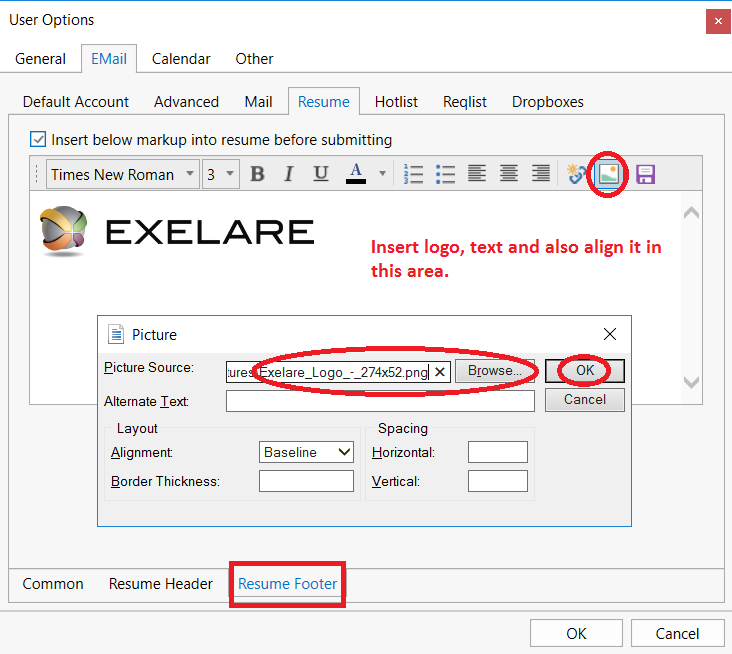 An email is sent with a logo (image or text), automatically at the top or bottom or both of every page in the resume as desired. Once the resume is received, the recipient will see the branding after he/she downloads the received resume.